Every time you hit the trail, 2INpower MTB records your power output independently in each leg in real time, taking into account jumps, drops and other interruptions to pedaling consistency. 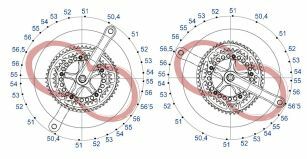 Monitor your data with the ROTOR Power smartphone app to develop your performance improvement plan and identify when to push harder or keep some reserve in the tank. 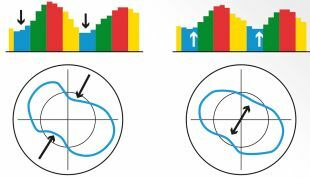 OCP technology allows you to identify your optimum chainring position (1-5) to fine-tune Q Rings for optimized pedaling biomechanics. Customise your bike with rubber bumpers in a choice of seven stylish colours: black, blue, green, yellow, red, pink, or orange.